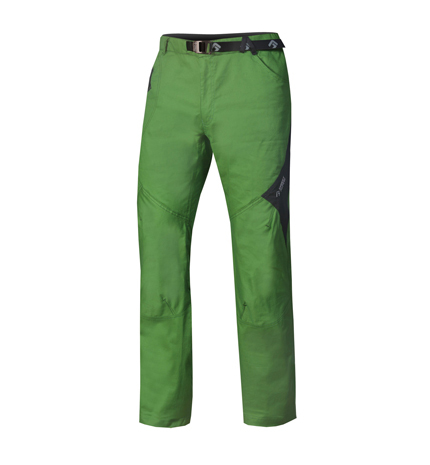 Men's Apparel Direct Alpine, Made in Europe - Direct Alpine s.r.o. Practical and comfortable light traveller‘s trousers with legs that can be unfastened to make shorts, now improved with the possibility of unfastening the lower part along the side. An important detail for unfastening or fastening the bottom parts without the need to take off shoes. The customer buys 2 kinds of trousers in 1 product. A simple, well-fitting cut with technical lines. Very pleasant stretch material with Quick Drying finish. It is based on our popular model Borneo, in this way we have expanded this range of best-sellers to include another model for the general outdoor public. 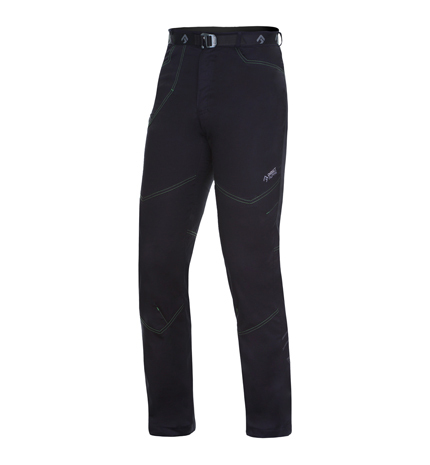 A great solution for travelling, hiking, Nordic walking, also ideal as comfortable casual trousers for all-day regular wear. 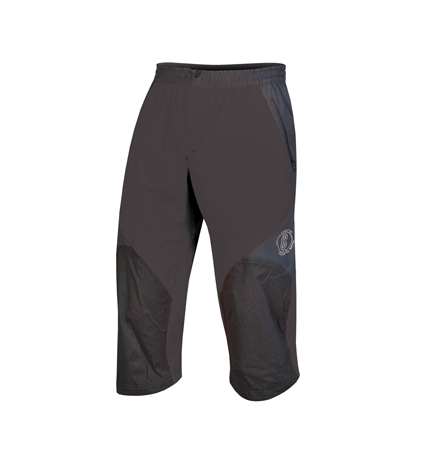 These new, universal outdoor and travel pants offer the wearer lots of pockets. These are secured with zips for safety when carrying stuff. 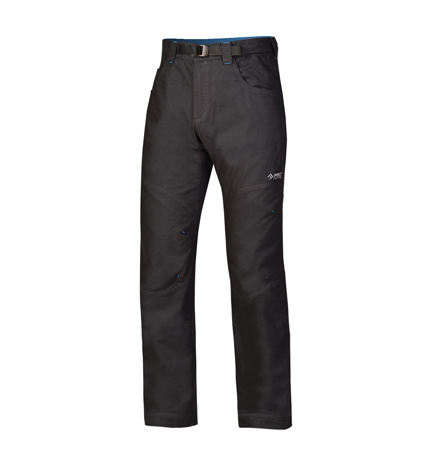 Thanks to a functional combination of two light, stretch, highly breathable materials, these pants fit perfectly and are extremely suitable for use in warmer weather. The material is very comfortable and quick drying. Thanks to the zip in the lower part of the leg they can be shortened to three-quarter length. So you get two pants for the price of one! They can be used for a wide variety of activities – hiking, travelling, nordic walking, and because of their attractive design they can also be worn for everyday casual wear. These new summer shorts in our collection are aimed particularly at hiking and traveling. The elasticated materials used are very comfortable, are good at wicking away sweat from the body and are quick drying. 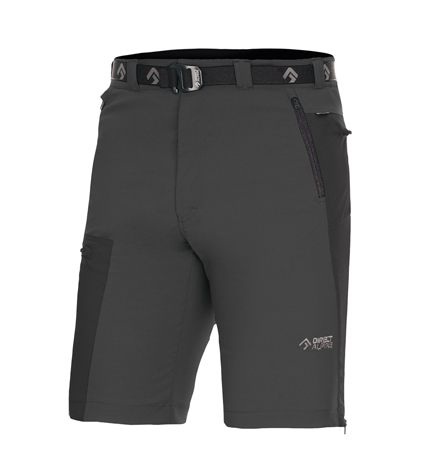 These shorts have a lot of pockets, all with zip fasteners to protect the things you’re carrying. They’re practical shorts which you will appreciate every day during hot weather. 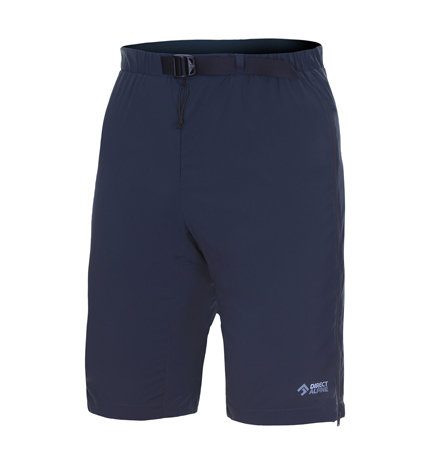 These highly innovative shorts have zip openings in the sides. This is great, for example, on steep climbs, long mountain walks or hot summer days, when they provide maximum ventilation and increased comfort for the wearer. Thanks to the comfortable leisure styling and the use of light functional elastic fibers they give free unrestricted movement. Ideal for all outdoor activities and for casual everyday wear in summer. These are also a great choice for bouldering, sports climbing or practice climbing outdoors or in a hall. 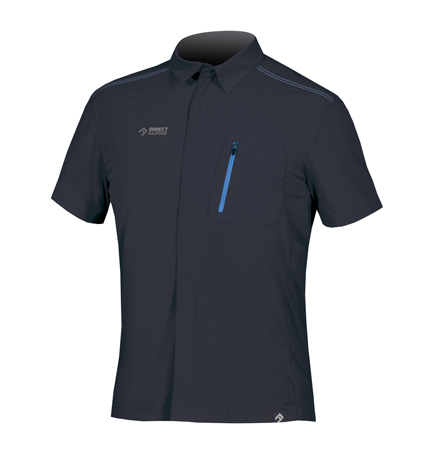 An attractive technical functional shirt with short sleeves. Ideal for travellers and regular everyday wear. Very popular model, universal design. 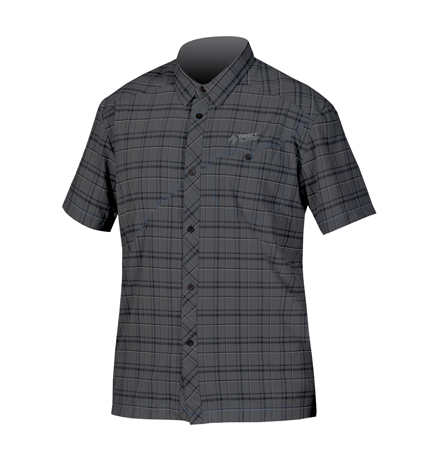 Comfortable shirt for regular wear and light sports use ensuring the customer‘s comfort even on hot summer days. Gentleman‘s summer shirt with sport cut and short sleeves. Comfortable shirt for regular wear and light sports use ensuring the customer‘s comfort even on hot summer days. An extremely comfortable T-shirt in a classic loose cut in attractive colors with printed outdoors motifs, emphasizing the image of every customer. A high-quality, airy cotton knit with a streaked effect. Ideal for sports or for everyday wear, particularly in the warm summer months. Universal outdoor jacket with very well designed cut. Comfortable stretch material, sufficiently wind resistant and with good mechanical resilience. Closefitting cut, low weight. Highly permeable. Ideal protection for climbing and long trips. A great climbing jacket for the long rock faces of the Alps, Yosemite or anywhere, but can also be put to good use for any outdoor activity, from cycling and hiking to cross-country skiing or winter running. 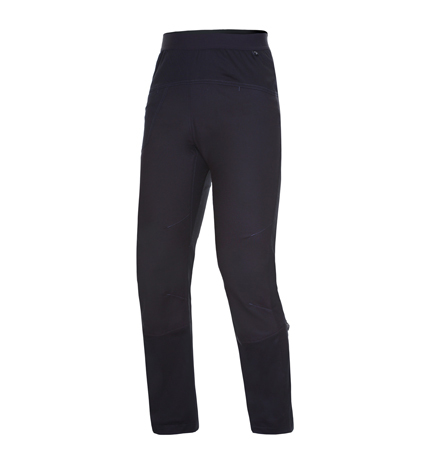 Light protective sports trousers with a simple technical cut. Functional lightweight yet durable material with high permeability. Comfortable cut does not restrict movement: ideal for multi-pitch climbing, via-ferrata, as well as more demanding trekking. 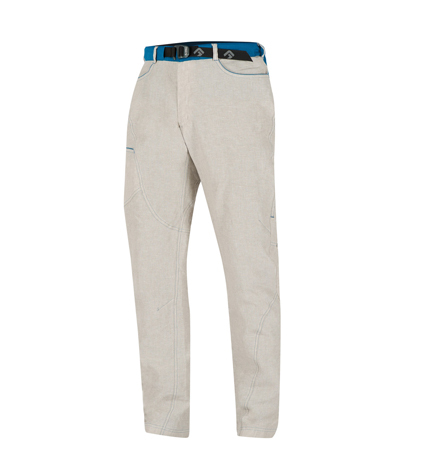 Light ¾ trousers with technical cut highly sought after by customers. Combination of functional materials. 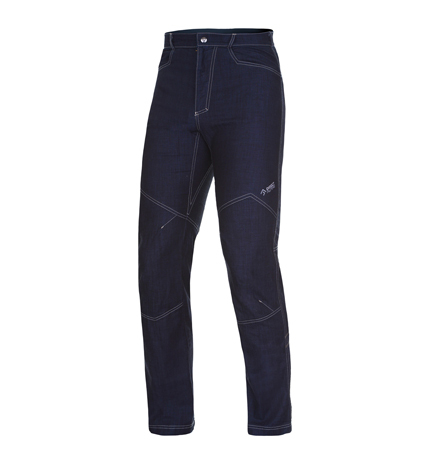 Comfortable cut not restricting movement, ideal for climbing, bouldering, trekking or other outdoor activities. Durable loose climbing trousers with a casual cut. Durable robust material. Suitable not only for climbing but also for everyday street wear. Loose climbing pants of casual cut made of unique material with prevailing linen yarn. Thanks to the cooling effect of linen are trousers suitable for all leisure activities, even during the hot summer days. 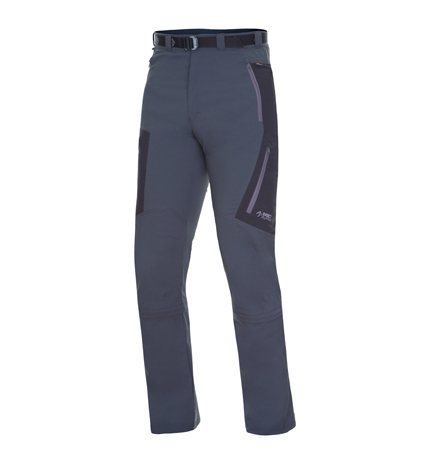 Elastic waist and real saddle material ensures high wearing comfort. 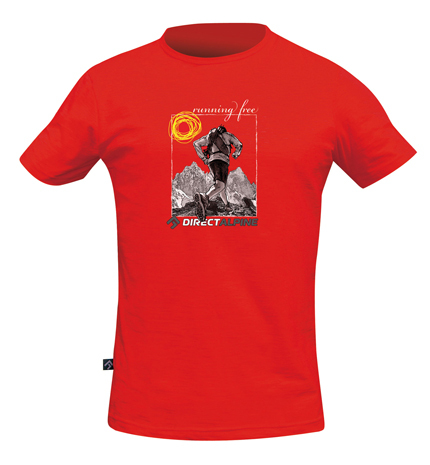 Great for hiking, trekking, sport climbing and bouldering, but also for civilian wear. These much sought after, light ‘climbers’ denim pants are back in our collection. A perfectly fitting cut with a crotch insert for freer leg movement and high quality elasticated denim to guarantee truly high wearer comfort. And not just during climbing or bouldering! Thanks to their attractive design, interesting details and stylish contrast stitching with strong thread these pants are also suitable for hiking and everyday casual wear. New pants primarily designed for climbers and lovers of movement on vertical faces. Their construction combines our time-proven fabric for increased durability while, at the same time, ensuring comfort even during the most demanding climbing or extreme bouldering. A light, breathable stretch material forms the basis for these pants, reinforced with a stronger, more fray-resistant cloth on the thighs and knees. The wide elasticated waistband with minimal seams is comfortable even when wearing a climbing harness. Boulder are the ideal pants for movement on rocks, sporting and hall climbing, via ferrati and bouldering. 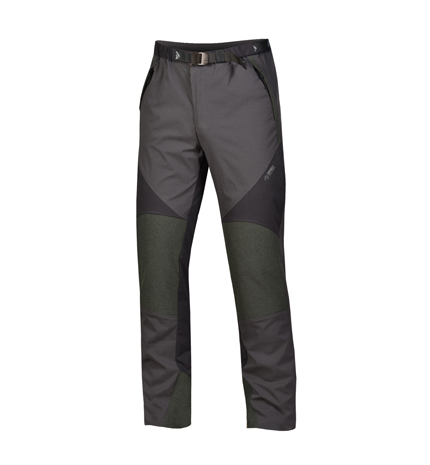 The material tried and tested over the years in an attractive young design, to sum up universal and highly comfortable “climbing” trousers in a cool version. The well designed cut and high quality material with elastan ensures comfort of the user during any activity. Attractive asymmetric colour scheme with contrasting seams. Model for universal use and the broadest group of customers. 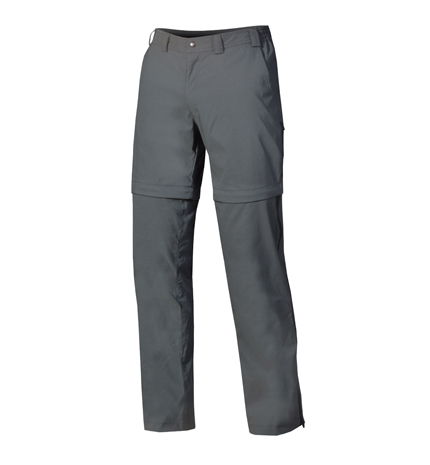 Ideal bottom trousers, suitable for bouldering, sports climbing or everyday wear. Tried and tested material, a cool design, Do not restrict movement as a result of use of elasticated fabric. Loose, pleasant, casual cut. 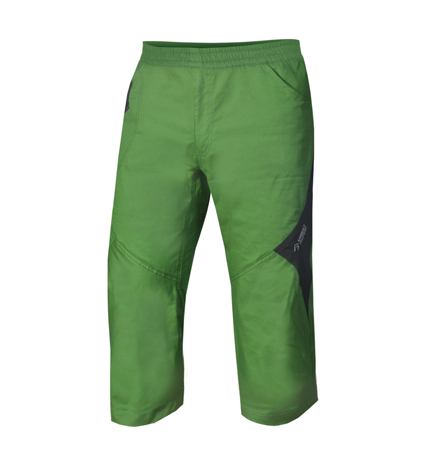 Ideal three-quarter length trousers for bouldering, sports climbing or everyday wear in the summer. Attractive colours with asymmetric panels complemented by printed design, striking contrasting stitching. T-shirt of a attractive fitting cut in fashionable colours with printed outdoors motives on the chest, quality knit fabric combined with Lycra. 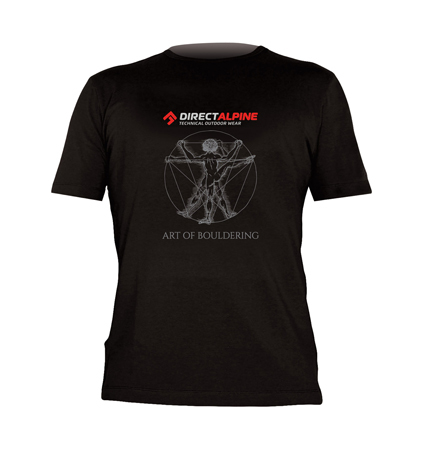 A flagship of the Directalpine collection. 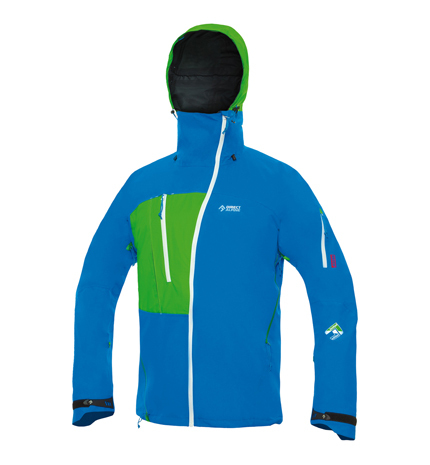 A top quality technical jacket for the most demanding mountain activities in a new improved design. 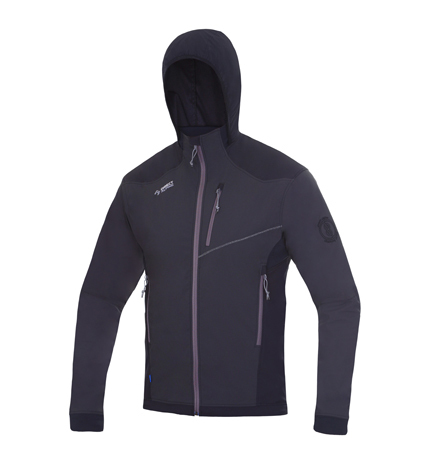 Comfortable, stretch hardshell with a revolutionary technological 3D membrane providing very high breathability. The deliberately simple construction of this garment eliminates the risk of damage and, thanks to the high quality cut, it hangs extremely well. The shoulders have now been reinforced with tough, fray-resistant protectors. 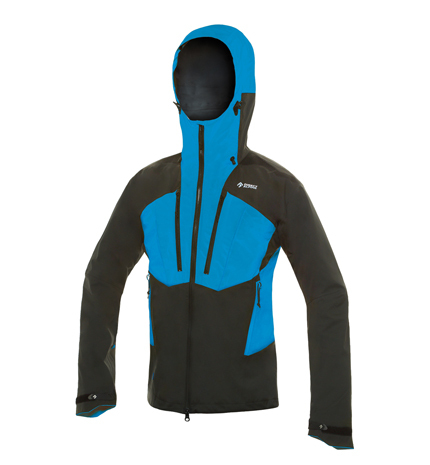 Reliability, comfort, low weight and packability are the leading features of this unique jacket which can be used all year round for mountain climbing, VHT, hiking and skiing. Hardshell jacket designed for the most demanding climatic conditions. Ideal for expedition enthusiasts, mountain climbing, ski alpinism, mountain hiking, hiking, skiing. The material guarantees maximum protection against water and wind with excellent permeability. Technical, close-fitting, anatomical design with a minimum of seams for unlimited movement and perfect fit. Functionality and simplicity eliminate malfunction and are important requirements for even the most demanding activities. Combination of quality materials and appropriate technology provides maximal functionality while maintaining a low weight. This „legendary“ model has been around for 17 years, produced in various generations, and thousands of travelers have lived their dreams thanks to this reliable mountain jacket.